Today, I’ll turn my attention to semantic search, a search engine improvement that came along in 2013 in the form of the Hummingbird update. At the time, it sent the SERPs into a somewhat chaotic frenzy of changes but introduced semantic search, which transformed SEO for the better—both for users and for marketers. I’ll start with a briefer on what semantic search actually is, in case you aren’t familiar. The so-called Hummingbird update came out back in 2013 and introduced a new way for Google to consider user-submitted queries. Up until that point, the search engine was built heavily on keyword interpretation; Google would look at specific sequences of words in a user’s query, then find matches for those keyword sequences in pages on the internet. Content encouragement. The nature of semantic search forces searches optimizers and webmasters to spend more time researching topics to write about and developing high-quality content that’s going to serve search users’ needs. That means there’s a bigger pool of content developers than ever before, and they’re working harder to churn out readable, practical, and in-demand content for public consumption. Searching video surveillance streaming for relevant information is a time-consuming mission that does not always convey accurate results. A new cloud-based deep-learning search engine augments surveillance systems with natural language search capabilities across recorded video footage. The Ella search engine, developed by IC Realtime, uses both algorithmic and deep learning tools to give any surveillance or security camera the ability to recognize objects, colors, people, vehicles, animals and more. It was designed with the technology backbone of Camio, a startup founded by ex-Googlers who realized there could be a way to apply search to streaming video feeds. Ella makes every nanosecond of video searchable instantly, letting users type in queries like “white truck” to find every relevant clip instead of searching through hours of footage. Ella quite simply creates a Google for video. Traditional systems only allow the user to search for events by date, time, and camera type and to return very broad results that still require sifting, according to businesswire.com. The average surveillance camera sees less than two minutes of interesting video each day despite streaming and recording 24/7. Ella instead does the work for users to highlight the interesting events and to enable fast searches of their surveillance and security footage. From the moment Ella comes online and is connected, it begins learning and tagging objects the cameras see. Hardware agnostic, the technology also solves the issue of limited bandwidth for any HD streaming camera or NVR. Rather than push every second of recorded video to the cloud, Ella features interest-based video compression. Based on machine learning algorithms that recognize patterns of motion in each camera scene to recognize what is interesting within each scene, Ella will only record in HD when it recognizes something important. The uninteresting events are still stored in a low-resolution time-lapse format, so they provide 24×7 continuous security coverage without using up valuable bandwidth. One strand of that work aims to give machines the kind of grounding in common sense and the physical world that underpins our own thinking. Facebook researchers are trying to teach software to understand reality by watching the video, for example. Others are working on mimicking what we can do with that knowledge about the world. Google has been tinkering with software that tries to learn metaphors. Mitchell has experimented with systems that interpret what’s happening in photos using analogies and a store of concepts about the world. The software that runs our electrical grids, security cameras, and cell phones is plagued by security flaws. We shouldn’t expect software for self-driving cars and domestic robots to be any different. It may, in fact, be worse: There’s evidence that the complexity of machine-learning software introduces new avenues of attack. The threat is considered serious enough that researchers at the world’s most prominent machine-learning conference convened a one-day workshop on the threat of machine deception earlier this month. Researchers discussed fiendish tricks like how to generate handwritten digits that look normal to humans but appear as something different to software. What you see as a 2, for example, a machine vision system would see as a 3. Researchers also discussed possible defenses against such attacks—and worried about AI being used to fool humans. That’s why DeepMind and Facebook both started working on the multiplayer video game StarCraft in 2017. Neither have yet gotten very far. Right now, the best bots—built by amateurs—are no match for even moderately-skilled players. DeepMind researcher Oriol Vinyals told WIREDearlier this year that his software now lacks the planning and memory capabilities needed to carefully assemble and command an army while anticipating and reacting to moves by opponents. Not coincidentally, those skills would also make software much better at helping with real-world tasks such as office work or real military operations. Big progress on StarCraft or similar games in 2018 might presage some powerful new applications for AI. How to keep the technology within safe and ethical bounds was a prominent thread of discussion at the NIPS machine-learning conference this month. Researchers have found that machine learning systems can pick up unsavory or unwanted behaviors, such as perpetuating gender stereotypes, when trained on data from our far-from-perfect world. Now some people are working on techniques that can be used to audit the internal workings of AI systems, and ensure they make fair decisions when putting to work in industries such as finance or healthcare. The next year should see tech companies put forward ideas for how to keep AI on the right side of humanity. Google, Facebook, Microsoft, and others have begun talking about the issue, and are members of a new nonprofit called Partnership on AI that will research and try to shape the societal implications of AI. Pressure is also coming from more independent quarters. A philanthropic project called the Ethics and Governance of Artificial Intelligence Fund is supporting MIT, Harvard, and others to research AI and the public interest. A new research institute at NYU, AI Now, has a similar mission. In a recent report, it called for governments to swear off using “black box” algorithms not open to public inspection in areas such as criminal justice or welfare. Microsoft's Bing search engine has long been a punch line in the tech industry, an also-ran that has never come close to challenging Google's dominant position. Microsoft has spent decades investing in various forms of artificial intelligence research, the fruits of which include its voice assistant Cortana, email-sorting features and the machine-learning algorithms used by businesses that pay for its cloud platform Azure. It's been stepping up its overt efforts recently, such as with this year's acquisition of Montreal-based Maluuba, which aims to create “literate machines” that can process and communicate information more like humans do. Bing started in 2009, a rebranding of earlier Microsoft search engines. Yahoo and Microsoft signed a deal for Bing to power Yahoo's search engine, giving Microsoft access to Yahoo's greater search share, said Cornett, who worked for Yahoo at the time. Similar deals have infused Bing into the search features for Amazon tablets and, until recently, Apple's Siri. While Google also has the advantage of a powerful search engine, other companies making big investments in the AI race – such as IBM or Amazon – do not. “Amazon has access to a ton of e-commerce queries, but they don't have all the other queries where people are asking everyday things,” Cornett said. Neither Bing nor Microsoft's AI efforts have yet made major contributions to the company's overall earnings, though the company repeatedly points out “we are infusing AI into all our products,” including the workplace applications it sells to corporate customers. The company on Thursday reported fiscal first-quarter profit of $6.6 billion, up 16 percent from a year earlier, on revenue of $24.5 billion, up 12 percent. Meanwhile, Bing-driven search advertising revenue increased by $210 million, or 15 percent, to $1.6 billion – or roughly 7 percent of Microsoft's overall business. That's OK by current Microsoft current CEO Satya Nadella, who nearly a decade ago was the executive tapped by Ballmer to head Bing's engineering efforts. In his recent autobiography, Nadella describes the search engine as a “great training ground for building the hyper-scale, cloud-first services” that have allowed the company to pivot to new technologies as its old PC-software business wanes. The CIA is developing AI to advance data collection and analysis capabilities. These technologies are, and will continue to be, used for social media data. News flash: that future is here. If you ask Siri, the helpful assistant who magically lives inside your phone, to read text messages and emails to you, find the nearest pizza place or call your mother for you, then you’ve made AI a part of your everyday life. 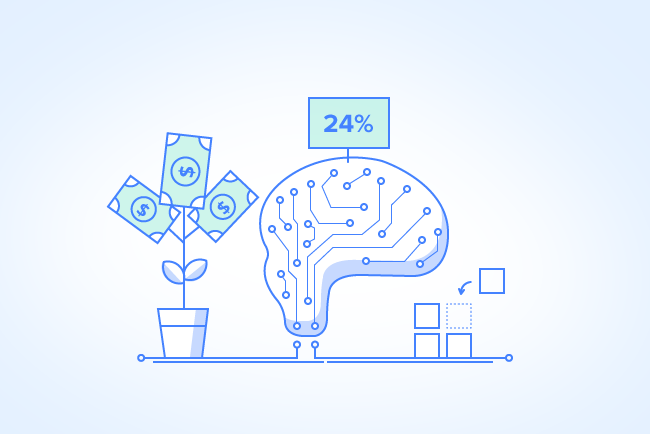 Even current weather forecasting systems, spam filtering programs, and Google’s search engine – among so many other practical applications – are AI-powered. Now, artificial intelligence doesn’t seem that alarming, right? Recommendation systems were first implemented in music content sites. This has since been extended to different industries. The AI system learns a user’s content preferences and pushes content that fit those preferences. This can help you reduce bounce rate. Likewise, you can use the information learned by your AI to craft better-targeted content. With no Terminator or Replicant looming in the periphery, there really is no danger to artificial intelligence, only potential. Arguably, there shouldn’t even be the more practical scare of losing people’s jobs to machines. Experts say that AI can actually enhance people’s jobs and allows them to work more efficiently. The gap lies in developing artificial intelligence systems that could deal with the enormous amount of data currently available. According to Gartner, a marketing research organization, today’s data is set to balloon to up to 800% by 2020. 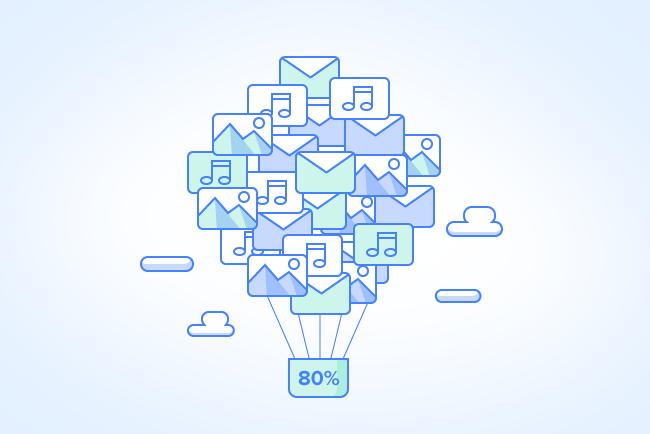 With this, you get about 80% of unstructured data, made up of images, emails, audio clips and the like. At this point, there is nothing – neither human nor artificial intelligence – that can sift through this amount of data, in order to make it usable for business. According to IBM’s Dr. Kelly: ““This data represents the most abundant, valuable and complex raw material in the world. And until now, we have not had the means to mine it.” He believes that it is companies involved in genomics and oil that will find the means to mine this resource. VANCOUVER, Canada — Intelligent machines of the future will help restore memory, mind your children, fetch your coffee and even care for aging parents. It will all be part of a brave new world of the not-so-distant future, in which innovative smart machines, rather than being the undoing of people — as some have long feared — actually enhance humans. That was the vision outlined at the prestigious TED Conference by experts who say technology will allow people to take on tasks they might only have dreamed of in the past. “Super-intelligence should give us super-human abilities,” Tom Gruber, head of the team responsible for Apple’s Siri digital assistant, said during an on-stage talk Tuesday night. Now he has set his sights on smart machines, and is turning the thinking about the technology on its head. Already smart personal assistants are taking hold, pioneered by the likes of Apple’s Siri. South Korean giant Samsung created Bixby to break into the surging market for voice-activated virtual assistants, which includes Amazon’s Alexa, Google’s Assistant and Microsoft’s Cortana. Gruber envisions artificial intelligence — AI — getting even more personal, perhaps augmenting human memory. “Human memory is famously flawed — like, where did the 1960s go and can I go there too?” Gruber quipped. He smiled but would not comment when asked by AFP about the potential to imbue the gadget with the kind of artificial intelligence described by fellow speakers. “I think it won’t be too long before we’re using robots to take care of our parents, or help our children take care of us,” Raibert said. Russell now advocates programming machines with robotic laws to govern their behavior — and ensure cannot end up working against human interests.